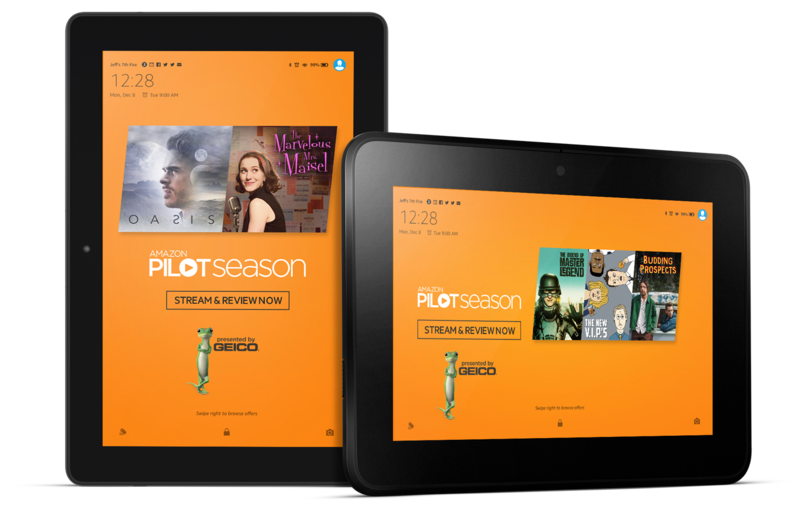 Every year, Amazon Studios releases a new slate of original show pilots for users to watch and review. 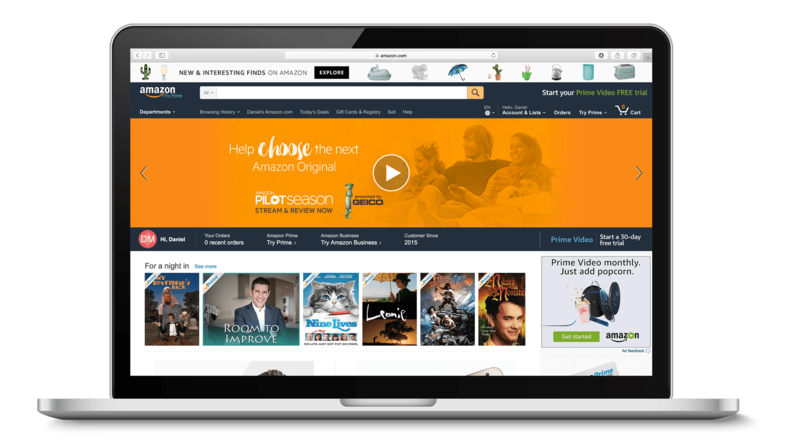 All customers—even those who do not have a Prime membership—can participate, and the launch has been sponsored by GEICO Insurance for several seasons. 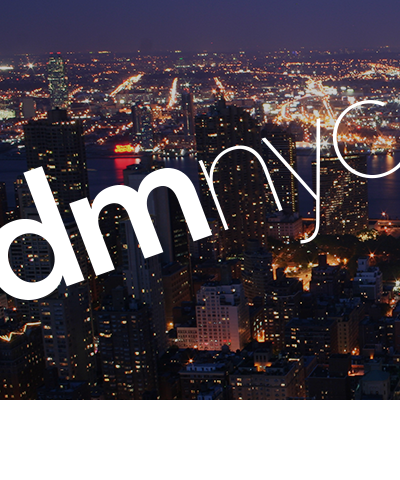 The bright look-and-feel captures attention during the launch, which runs briefly as a sitewide takeover. 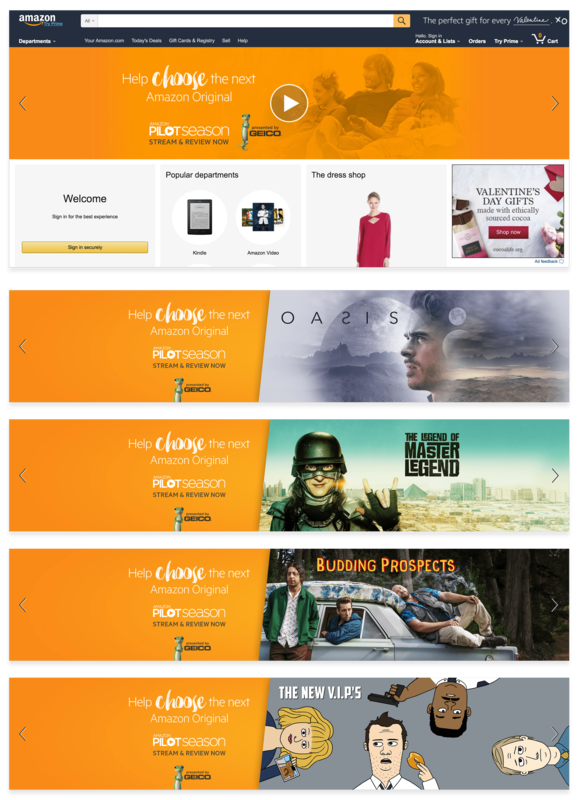 Each of the show titles are also featured in rotation on the Amazon homepage, as well as Fire Tablet, Fire TV, the mobile shopping app, and IMDB, to provide maximum visibility at all customer entry points. 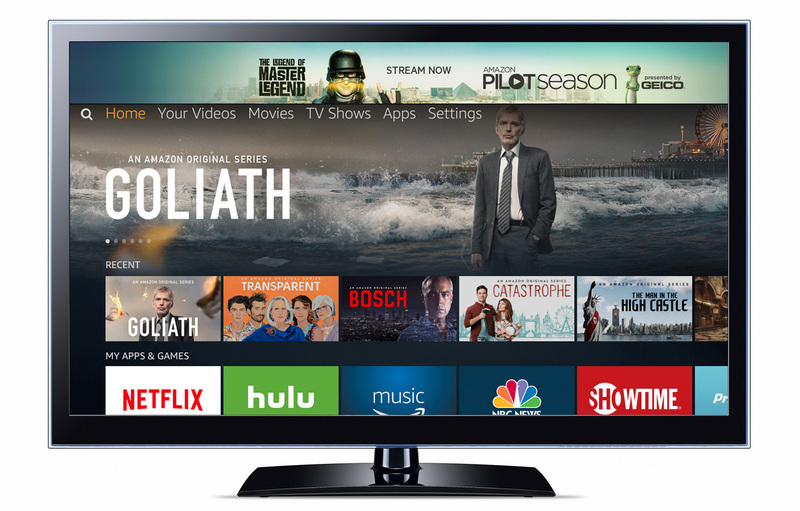 The units below appeared on the Amazon.com homepage throughout the takeover event to promote each of the individual show titles, as well as the overall program. 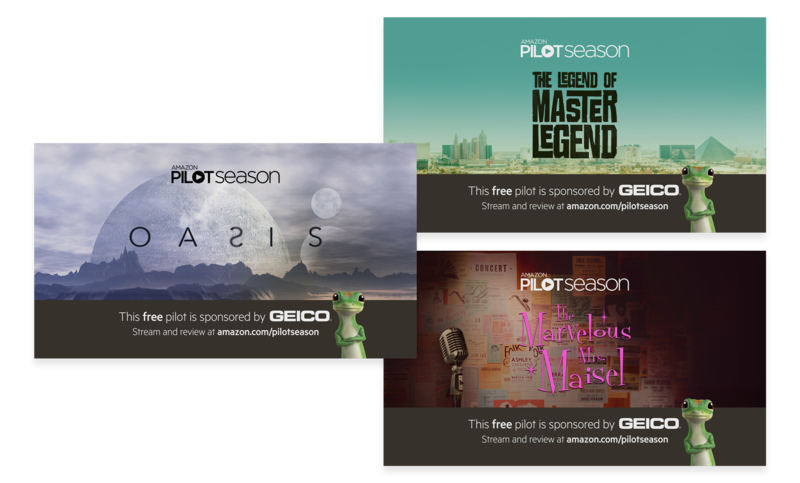 To remind customers that Pilot Season was made available for free by GEICO, these sponsored preroll video cards were shown before the beginning of each episide.